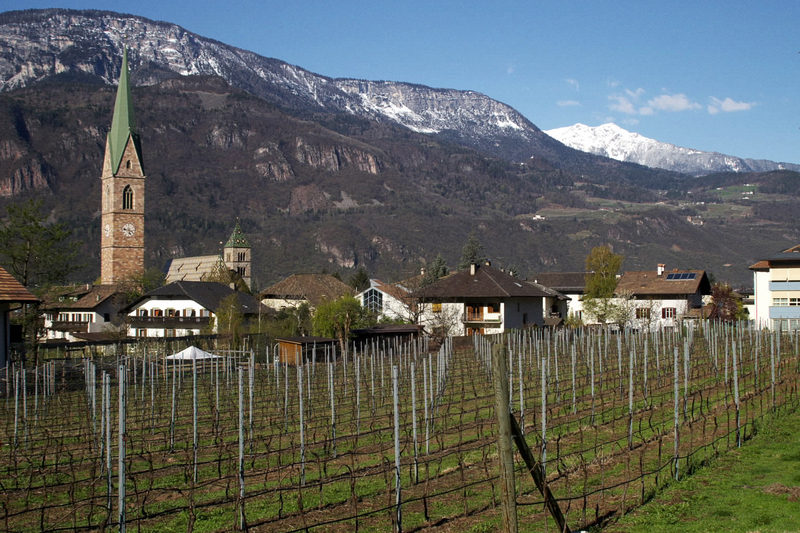 Next week, members of the wine trade in three American cities will have the opportunity to taste new releases from 20 producers from Alto Adige at special tastings. This lovely region in northeastern Italy is a spectacularly beautiful wine zone that excels at vibrant whites such as Gewurztraminer, Pinot Bianco, Sauvignon and Pinot Grigio as well as lovely reds with styles as diverse as sleek Pinot Nero to riper, more full-bodied Lagrein as well as Cabernet Sauvignon. Please note that these tastings are for members of the wine trade only; the public will not be allowed. At each event, there will be a sit-down seminar featuring a number of white wines with appropriate speakers discussing each wine. The seminar begins 90 minutes before the main tasting and will last for one hour. You need to RSVP for the seminar as well. 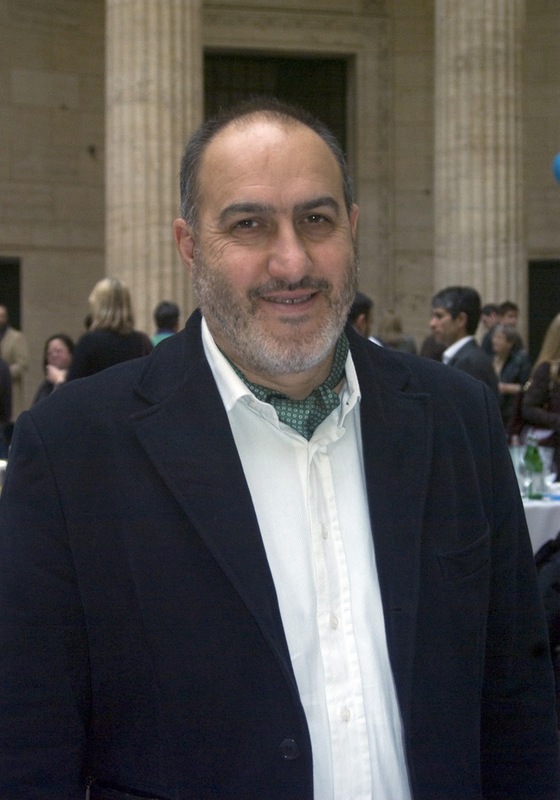 I hope to see you at the Chicago tasting on March 7! The Gambero Rosso Tre Bicchieri tasting was held in Chicago yesterday and by numerous accounts - a classic location, an excellent turnout and a wide array of Italy's finest wines - the event was a smashing success! This was the second year for this event in Chicago - it is also held in New York City and San Francisco - and it was once again held in the beautiful Grand Hall of Union Station, notable for its classic Greek columns as well as the site of one of the classic scenes from the movie The Untouchables. Last year, the event was held on a Friday and attendance was good, but moving it to a Tuesday made a lot of difference this year, as by my estimate, there was at least a 30% increase in attendance. 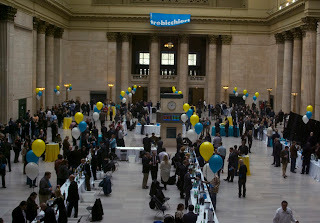 It was nice to see my fellow Chicagoans support this tasting, which is truly one of a kind. Gambero Rosso has become famous for its Tre Bicchieri ("three glasses") rating for the top wines each year in Italy (this year, only 402 wines out of more than 20,000 tasted received the award) and the results truly represent the spectacular variety that is the world of Italian wines. If you wanted to only focus on the most famous reds, you could do that and sample Amarone from producers such as Allegrini, Masi, Tenuta Sant'Antonio and Zenato among others or you could taste Barolo from Mirafiore (Fontanafredda), Ettore Germano or Michele Chiarlo as well as Brunello di Montalcino from notable producers such as Banfi and Greppone Mazzi - and let's not forget Sassicaia! But of course, there is a lot more to Italian wine than full-bodied reds; to balance things out there were many splendid sparkling wines from esteemed producers such as Ca' del Bosco, Guido Berlucchi, Ferrari and Villa Sandi (this last, one of the top houses of Prosecco). These wines showed wonderfully, but for me, the real surprise was the 2005 Brut from Sergio Mottura, a 100% Chardonnay from Lazio. Though Mottura has become quite well-known for his still wines made from Grechetto, I found this sparker to be even better; it is extremely elegant and round with excellent varietal character. Let's fact it, how often do you get to try a sparkling wine from Lazio? 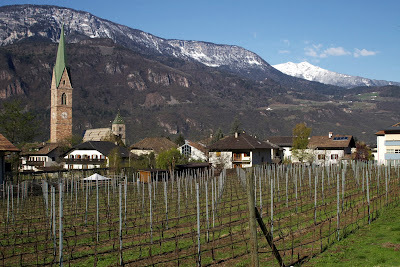 As for white wines, the 2009 Cantina Tramin Gewurztraminer "Nussbaumer" was a standout - one smell of this wine instantly tells you this is a classic of its type - while the 2008 Livon Braide Alte is another outstanding achievement from this first-rate producer from Friuli. The 2009 Planeta Cometa, a 100% Fiano was one of the standout whites here, as was the 2009 Pietracalda from Feudi di San Gregorio in Campania. I did find a few surprises with the reds, none more so than the 2006 Le Piane "Boca", a blend of Nebbiolo and Vespolina from a small area in northern Piemonte. This is medium-full with beautiful dried cherry fruit and young, but sleek tannins and a finish with very good acidity and notes of light dried herbs. This is a nice alternative to Barolo and it certainly can be consumed earlier. There are only a handful of producers that craft this charming red and this is one of the most stylish examples I've tasted. I also loved the 2006 "Ceretta" Barolo from Ettore Germano, a subdued Barolo with silky tannins made in a classic traditional style as well as the remarkable 2007 Nino Negri "5 Stelle" Sfursat", a Nebbiolo with plenty of stuffing as well as an extremely long, persistent finish along with the varietally pure 2004 Mastroberardino Taurasi "Radici" Riserva, one of Campania's finest reds. Finally, for lovers of Tuscan reds, there was an embarrassment of riches, ranging from the 2007 Flaccianello from Fontodi to the 2007 Fontalloro from Felsina to the underrated 2007 Tenuta di Valgiano from vineyards in the Lucca area. You could even taste two wines from Tua Rita: the 2008 "Perlato del Bosco" Rosso and the 2008 Rediagaffi, one of Italy's most powerful examples of 100% Merlot. This was indeed a rare treat to be able to taste the last two wines! So given the overall success of this tasting, I am looking forward to next year's event in Chicago. It will be difficult to top this year's tasting, but I'm sure the organizing team at Gambero Rosso, lead by Tiina Eriksson, Marco Sabellico and Eleonora Guerini will be up to the task. Let's face it - Chianti Classico is one of the world's most beloved red wines. It may also be the most purchased, if you think about the availability of this wine in America, Europe and Asia. But at the same time, Chianti Classico has lost some of its luster. The wines are still well made in most cases, but it's not as easy to get consumers, sommeliers and retail wine buyers as excited about these wines as it was even just a few years ago. So to some degree, Chianti Classico needs to be fixed. I've just returned from Florence, where I attended a special anteprima tasting for journalists from around the world; this event was aimed at previewing new releases of Chianti Classico, especially the soon-to-be released 2009s, but also Riserva bottlings from 2007 as well as new bottlings from the 2008 vintage. First, the wonderful news - 2009 is an excellent, perhaps even outstanding vintage for Chianti Classico. I tasted a few dozen examples and again and again, found that these wines offer excellent concentration and ripeness along with very good acidity. The wines are well-structured and are very tasty- in other words, for those looking for a special bottle of wine tonight, there are many examples of 2009 Chianti Classico that will fit the bill. For others looking to lay the wines down for a few years, there are many fine bottlings that will be at their best in 3-5 years, with a few even drinking well for as long as seven to ten years. So the first order of fixing Chianti Classico is to make better wines and in that regard, the producers were given a wonderful growing season in 2009 and took advantage. Not every wine is a classic, if you'll pardon the pun. There are some wines that offer ripeness and are very forward and while they are appealing, they too often taste like a modern wine that could come from any number of regions in Italy or even from other countries. Yet, I have to admit that even with these wines, the enologists have lightened up on the oak, so the result is that you taste the Sangiovese fruit. This is a very positive sign and I for one, am happy to report this situation. As for the best examples of Chianti Classico normale from 2009, a few of my favorites include: the deeply concentrated Monsanto; the elegant and beautifully crafted Isole e Olena; the terroir-driven Castellare di Castellina; the deeply fruity Querciabella; the charming, varietally pure Villa Calcinaia and the marvelously crafted, sublime bottling from Rocca di Montegrossi. Briefly, I also want to note two wines from the 2008 vintage, a year that is lighter than 2009, but one that yielded some charming wines. The two finest I tasted at this event were the Castello di Brolio and the Fontodi. 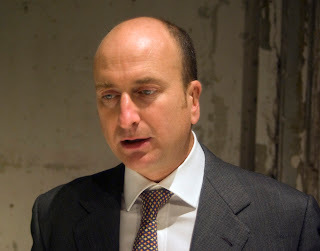 The former is the top wine of the estate owned by Francesco Ricasoli, who prefers to label this wine as Chianti Classico, even though it meets the necessary regulations to be identified as a Riserva. The wine has such lovely varietal purity and length in the finish; it is a polished, delicious wine. The Fontodi is likewise delicious with velvety tannins and a wonderful sense of place. This estate, under the leadership of Giovanni Manetti is at the top of its game and is clearly one of the very best houses in Chianti Classico. This 2008 normale can age well for another 5-7 years, but it is so appealing and tasty now - bravo Signore Manetti (and also to his enologist, Franco Bernabei)! So there will certainly be renewed excitement with these new wines on the market. But more needs to be done. While I was in Florence, I enjoyed a glass of wine with Sebastiano Capponi, proprietor of Villa Cacinaia, located in Greve in Chianti. 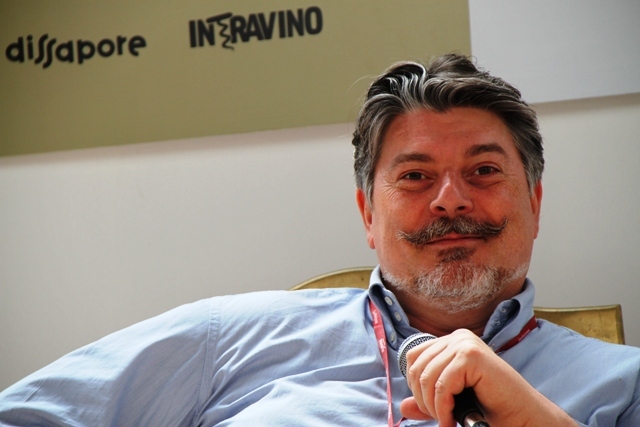 Capponi confirmed to me that discussions are finally underway among the producers in the consorzio about putting the names of subzones (such as Panzano, Greve, Radda, et al) on the labels. The thinking here is that there needs to be more information on the label than just the words "Chianti Classico." According to Capponi: "We have Chianti Classico that sell between 3 Euro a bottle and 30 Euro a bottle in Europe. All of them are labeled as Chianti Classico, yet the wines are very different. There needs to be a better system." 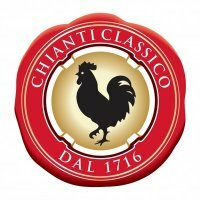 (Editor's note: prices for Chianti Classico in the US as confirmed by Capponi doing a search of various websites are between $7 and $30 a bottle). For Capponi and others, labeling the wines with a subzone will create a "quality pyramid", which will no doubt create more interest and excitement in the wines of Chianti Classico. Capponi also told me that Giovanni Manetti at Fontodi has reportedly said that if the subzones are allowed on the labels, he will once again label his top wine, Flaccianello dell Pieve, as Chianti Classico. This would certainly be a wonderful realization for Chianti Classico as a wine type, as this wine is currently labeled as an IGT Toscana Rosso, even though it could legally be identified as a Chianti Classico, given that it is 100% Sangiovese from estate vineyards. "If he decides to do it," notes Capponi, "other producers with Sangiovese-based IGT Super Tuscans might follow." So the stars are aligning for Chianti Classico. The wines from 2009 (and some of the finest from 2008) are first-rate and should be purchased by sommeliers, retail wine buyers and consumers everywhere. If the subzone labeling can indeed become a reality, it will mean a new era of excitement for this iconic red wine. P.S. One final note. At this event, producers were allowed to bring one Super Tuscan with them. Some producers as well as journalists who attended the tastings were against this, as this has been an event that focuses on Chianti Classico. I can understand their thoughts and respect them. However for myself and many other journalists (as well as vintners), this was a nice opportunity to experience the latest Super Tuscans. As producers were only allowed to pour one Super Tuscan and it had to be from their own zone (in other words, they could not show a wine from the Maremma or Bolgheri), this category did not steal the show, as most producers had three of four examples of Chianti Classico to pour from various vintages (2006-2009) and various types (normale, riserva). Now that one realizes that the subzone plan may become a reality, it made sense to see what some of these wines were about. For myself, it was certainly a nice treat to sample the 2007 Flaccianello - what a gorgeous wine! Imagine in the near future - this may be Chianti Classico again. Isn't that a nice thought? It's that time of year again - lucky Italian wine lovers in three cities across America will be able to attend the annual Tre Bicchieri event organized by Gambero Rosso. The publication, considered Italy's wine bible, judges tens of thousands of Italian wines each year and honors a few hundred with their top rating of Tre Bicchieri (three glasses). These wines, emerging from all over the country, represent every style of Italian wines, from the beautiful sparkling wines of Francicorta to the shimmering whites of Alto Adige and Friuli to the most famous reds from Toscana, Piemonte, Veneto, Campania and many other regions. Recently I spoke with Marco Sabellico, senior editor, Italian wines for the guide (look for him at the tastings), about several things about the tour, including what it means to the producers. What is the major benefit with this tour? How do the producers benefit - do some producers benefit more than others (perhaps a small producer from Lazio or Marche as compared to one from Toscana or Piemonte)? What is the primary benefit for Gambero Rosso? TH: How does the tour differ in the United States than in Italy or other countries? What are the reactions you've seen from Americans that attend these tastings? How do they enjoy this event? TH: Finally, what do you personally enjoy most about these events? How nice that Gambero Rosso makes the effort each year to conduct these tastings and offer so many great Italian producers the opportunity to showcase their wines. Marco, thank you for the excellent insight and thank you to those at Gambero Rosso for making these tastings possible. I hope to see many of you in Chicago on February 22! 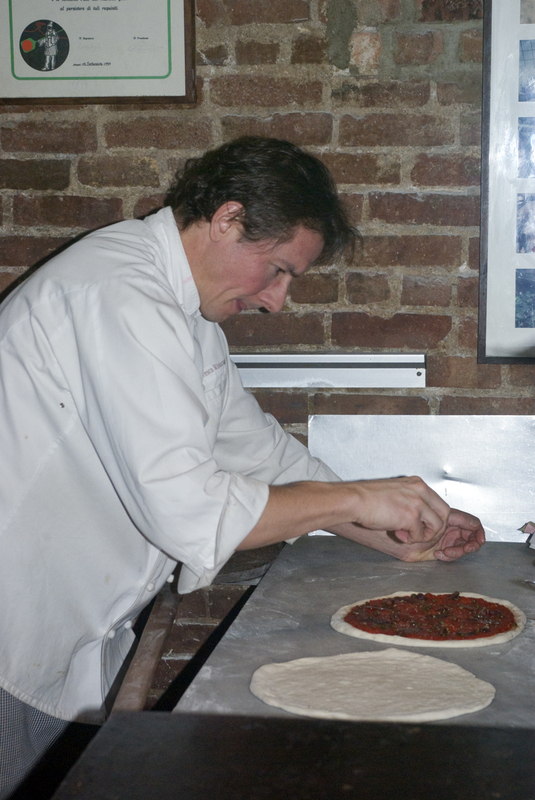 I began my week with dinner at La Pizza Fresca on 20th Street in the Flatiron district with my friends Stefania and Filippo Rocchi from Tuscany, who were in town for the Vino2011 event to pour the newest releases from their Castelvecchio estate in the Chianti Colli Fiorentini district. I had heard wonderful things about this restaurant, which was one of the first truly authentic Neapolitan pizzerie in America. I was not disappointed, beginning my meal with tagliatelle con norcina, a perfectly cooked pasta dish with sausage and cream sauce. For our first pizza, we selected the Bianca Neve (literally "white snow") made from bufala mozzarella, cherry tomatoes and garlic. 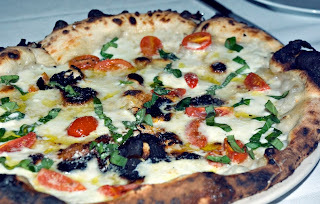 What a pizza this was, with marvelously fresh mozzarella flavor and a remarkable crust. Our wine choice was the 2009 Feudi di San Gregorio Greco di Tufo, which was a perfect accompaniment to the earthiness of this pizza. Later in the week, it was lunch with my good friend Tom Maresca, a fellow journalist and Italian wine lover, who lives in Manhattan. I've known Tom for about five or six years now, having traveled to Italy on several occasions with him (I've followed his writing for more than twenty years) and always enjoy his company as he's an individual who is extremely knowledgeable and very comfortable with his status in life, a quality I greatly admire. 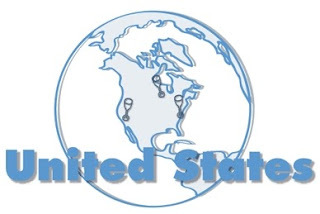 Tom writes an entertaining blog in which he gives his thoughts on wines from the world (primarily Italian, but also some from France and California); every once in a while he writes about food as well (what is wine for, but pairing with food anyway?) and a few months ago profiled The Oyster Bar in Grand Central Station. I had just seen a documentary on Grand Central and thought it would be neat to eat in this glorious building, and by the way, Tom's prose on the array of seafood here made this place seem like nirvana. I didn't tell Tom before, but I did confess when we arrived that I didn't care for oysters, but as I had seen the choices on the menu, I knew I'd have no problem finding something I liked. Or should I say loved? I opted for the New Bedford Sea Scallops with tartar sauce and french fries and did I ever make a wise decision. These scallops were as delicious and as flavorful as I've ever had and along with Tom's selection of oysters followed by a Po' Boy sandwich, we were both as satisfied as two hungry journalists could be on a cold winter's day. We were tasting Italian wine all day long, so Tom suggested we try a Muscadet, which I approved, as I love the wine, but rarely try any examples these days. The bottling was the Domaine de la Grenaudiere "La Grenouille" from the outstanding 2009 vintage. Displaying excellent freshness, earthiness and a light minerality, this was an ideal partner for our food. Sitting at the bar made this meal seem just a little more inviting, though I'd sit on the floor for seafood this good! That's a great invitation for any big city, but especially in New York, and while I had literally hundreds of choices, my first inclination was to opt for one of Lidia and Joseph Bastianich's restaurants. Between them, they operate more than a dozen eateries in New York City alone and I've been dazzled by previous meals at Babbo and Del Posto. As I hadn't dined at Felidia before, that was my choice, which Signore Antonelli happily accepted. I came in with high expectations and to my delight, every one of them was met and even succeeded. Naturally the freshness of the ingredients is quite special, so combine that with the amazing creativity in the kitchen (Fortunato Nicotra is the executive chef) and you've got the recipe for an amazing meal. Fresh octopus (polipo) and veal cheeks were tantalizing and perfectly cooked, as were all the pastas. Of these, the most delightful was the cacao ravioli (yes, cacao) stuffed with butternut squash and served with an amaretto cookie, which you could grate on top of the ravioli. 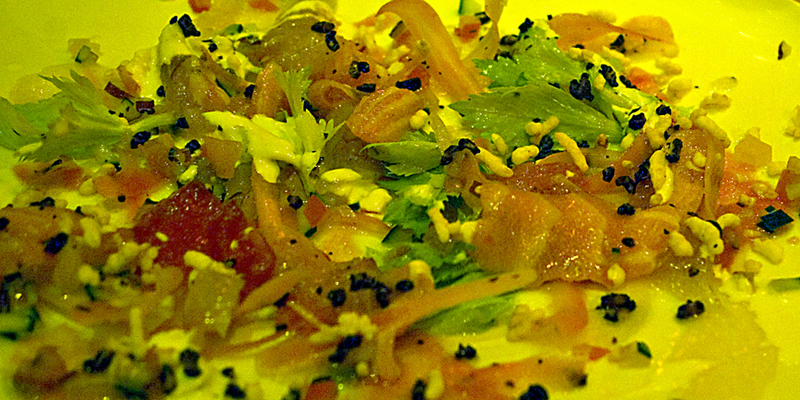 What an array of flavors in this dish and how delicate at the same time. The wine program is excellent (more on that in a future post) and the list covers the Italian peninsula with great complexity (though not as in depth as the incredible list at Del Posto). It's always nice when one wine jumps off the list and for me that night, it was the 1999 Cavallotto Barolo Bricco Boschis, one of my favorite wines from one of the great producers in Piemonte. Elegant and supple with deep concentration, the wine showed beautifully with the meal, yet still promises several years of pleasure ahead. The service at Felidia was outstanding in every respect. The tables were cleared in an orderly, polite fashion and we never had to wait too long for the next dish. The front end manager was kind enough to warn us about the ice and slippery conditions outside, as a serious blizzrd was underway that evening. It's little things like this that elevate a restaurant from very good to outstanding service; you're treated with great respect here and who doesn't treasure that? So a great few days in Manhattan, wine and food wise. People ask me all the time if I can make any money at what I'm doing and I usually laugh and tell them that's a great question. But I can assuredly say that I'm having a great time doing what I'm doing. Next week, more of the same in Toscana - both in Firenze and Montalcino. I'm already thinking about the first dinner!